We are great believers that the wrapping paper outside looks as special as the gift inside! 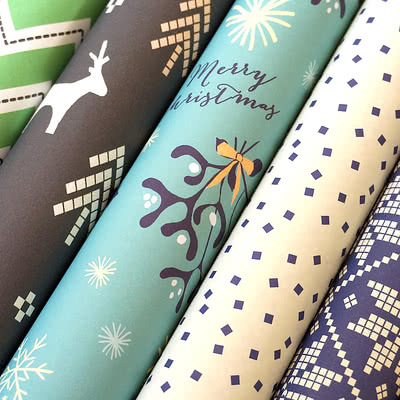 Our wrapping paper is colourful and cheerful and printed on a lovely matt finish paper. It’s perfect for lots of “crafty” projects too: garlands, bunting, origami and all sorts of other paper crafts. We are delighted to offer a selection of beautiful wrapping paper from Rosehip Paper alongside our Cardtastic range.